You started a blog and now you want your website’s visitors to have the best experience possible, right? Well, then you better not keep them waiting. Slow-loading pages are one of the biggest frustrations people experience online. In fact, having slow page loads can affect everything from how many people view your site and where you rank in Google to how likely people are to buy from you. In other words, having a fast website is crazy-important. But what can you do? You’re not a developer, so you don’t have the first clue how to speed up your site. That’s where WP Super Cache comes in. It’s a free plugin that can slash your page load times in half without the need for any special knowledge. Before I explain how WP Super Cache works, you need to understand how WordPress serves your content to your visitors. Normally, WordPress executes these processes dynamically. That means WordPress has to execute all separate processes to load your website’s content for each individual visit. Now computers are fast these days, but this still takes time. And your visitors can’t see your website until these processes are complete, which means they have to wait to start using your site (a.k.a. slow page load times ). That’s exactly the problem WP Super Cache fixes. Using something called page caching, WP Super Cache stores a static HTML copy of your content for visitors to browse. Basically, it stores a copy of the end result of the dynamic process outlined above. That way, your web server no longer needs to execute the PHP or query your database for each individual visitor. Instead, it serves up the already-finished product. And because your server has to do significantly less work, it loads the finished page much faster. That way, you’ll see exactly how much of an effect WP Super Cache has. 2.02 seconds isn’t horrible, but we can do a lot better! Let’s install WP Super Cache and see how fast we can get. 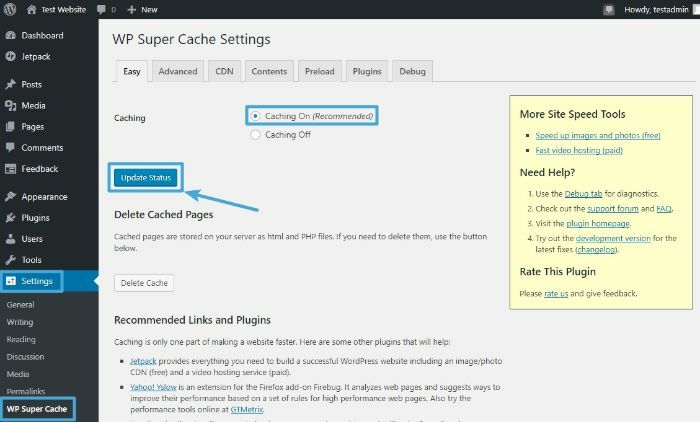 WP Super Cache is listed in the official WordPress.org plugin directory, which means that you can install it straight from your WordPress dashboard. Now the plugin is active on your site. But it’s still not working quite just yet. One of the beautiful things about WP Super Cache is how easy it is to start using the plugin. All you need to do is click a button. You can configure some of the advanced settings to optimize your load times further (which we’ll cover in a minute), but clicking that one button gives you the biggest speed boost. Go to Settings → WP Super Cache in your WordPress dashboard. And just like that, you’ve activated basic page caching on your site. By itself, that should lead to a major speed improvement. How major? Let’s find out! Yup, I cut more than half off my page load time with less than five minutes of work. So let’s soldier on and configure some of these settings. To configure most of the advanced settings, you pretty much just need to check a box. Below, I’ll explain each box that I recommend you check, starting in the Miscellaneous section. This way, WordPress will still dynamically generate pages for people who are logged in. 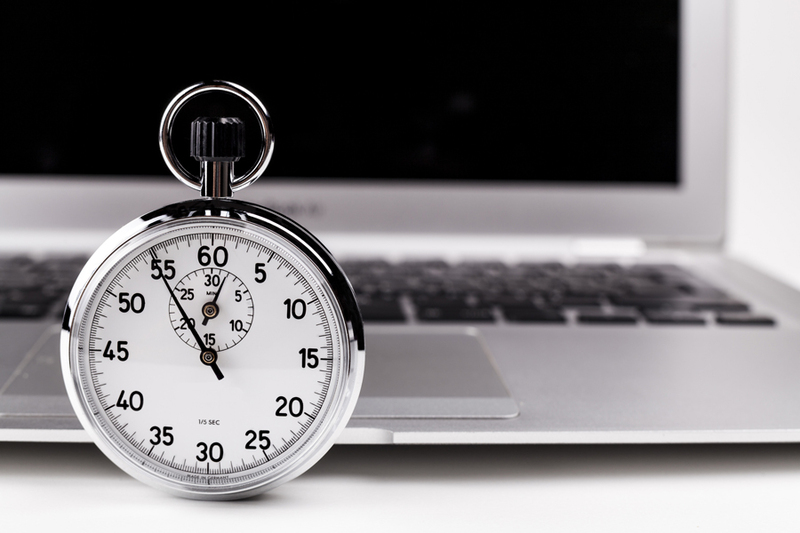 One issue that arises from caching is that it takes around 30 minutes for changes you make to your site to go live. That means you’d have to wait 30 minutes before you can see the result of your changes. Obviously, this would be a pain. This way, WordPress will keep generating pages dynamically for logged-in users (i.e., you, the administrator). You’ll always get the latest dynamically-generated version of your site, while anonymous users get the performance-optimized static version. Next, you should check the box to Compress pages so they’re served more quickly to visitors. It’s definitely not as big a reduction as before. But when it comes to page load times, every bit counts! Note: While I’ve never experienced any issues, this setting can cause problems with some hosts. For that reason, you should double-check your site’s functionality after enabling this setting. If you encounter any issues, you can just uncheck the box. While you’re missing out on a small speed boost, the difference is relatively negligible. So far, you’ve enabled WP Super Cache for page caching, but you should enable the plugin for browser caching as well. This can boost load times even further for recurring visitors. 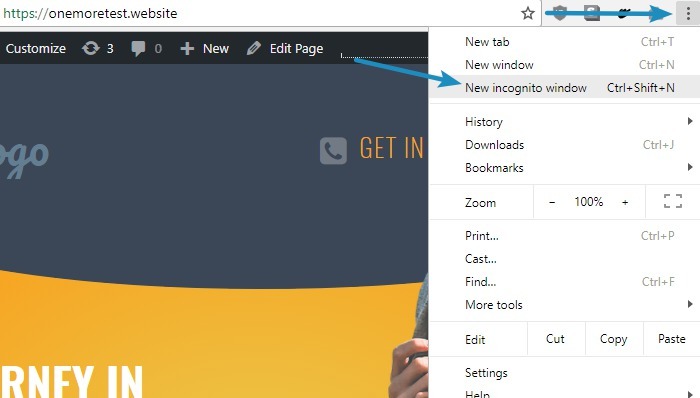 Browsers temporarily store files on each visitor’s computer. By enabling browser caching, you tell your visitor’s browser not to reload parts of your page that haven’t changed from their last visit. Instead, their browser will load the file from their computer, which is much faster than downloading it from your host server. Unfortunately, because Pingdom doesn’t store files the same way regular people’s computers do, I can’t show you how much this boosts performance. Caching is unlikely to cause issues with 99% of your site. But it can happen, especially on any pages where you ask visitors to enter information in a form. For example, I’ve personally had an issue where the contact form on my portfolio site wasn’t working due to my caching plugin. Yikes! If you notice anything funky, you can manually exclude that page from being cached to avoid any issues. Just scroll down the Advanced Settings page until you reach Accepted Filenames & Rejected URIs. 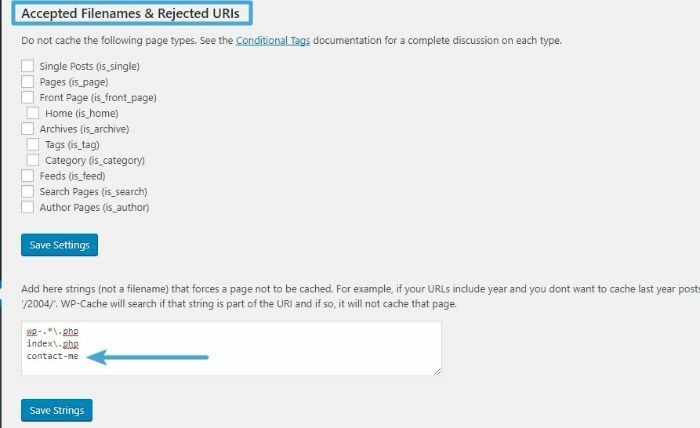 In the section that starts with “Add here strings (not a filename)”, enter the URL slug for the page that’s having issues. In the example above, you can see that I’ve manually excluded my Contact Me page. 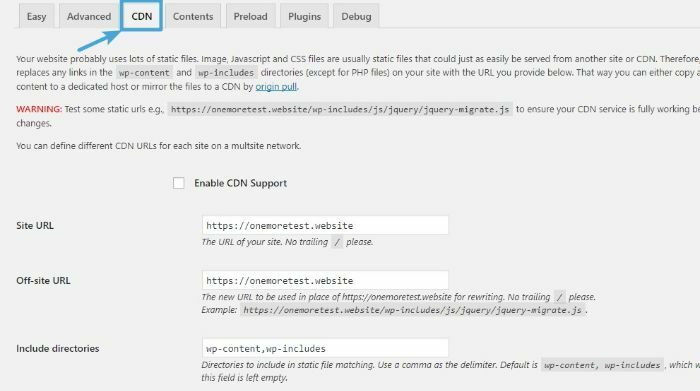 So the farther away your visitor is from your host server, the slower your site will load — unless you use a CDN (a.k.a. Content Delivery Network). When you use a CDN, you distribute copies of your site’s static files (like your images) to different servers around the world. That way, your visitors can download these files from a location that’s close to them, instead of downloading them from your host server. I recommend not using WP Super Cache for this, and using Cloudflare instead. You can see that my site now loads in 824 milliseconds, which is another small improvement from the previous speed of 837 milliseconds. Now, that may not seem like much, but remember that the CDN’s purpose is to make your website fast for people around the globe. So even though you only see a small speed improvement here, the improvement will likely be far greater for people visiting from Europe, Asia, or Australia. There’s just one more thing I want to cover. As I talked about earlier, caching can delay changes made to your site. But sometimes you’ll make a change to your site that you want to go live right away for all users. You do this by manually clearing your cache. This forces WP Super Cache to generate a new cache that incorporates your most recent changes. Go to Settings → WP Super Cache. Then click on the Contents tab and choose Delete Cache. Going forward, you’ll never need to worry whether your visitors are yelling at their computer screens, waiting for your website to load. Now you have the knowledge you need to ensure your website loads as quickly as it can, for everyone. All that’s left to do is to put your knowledge into action. 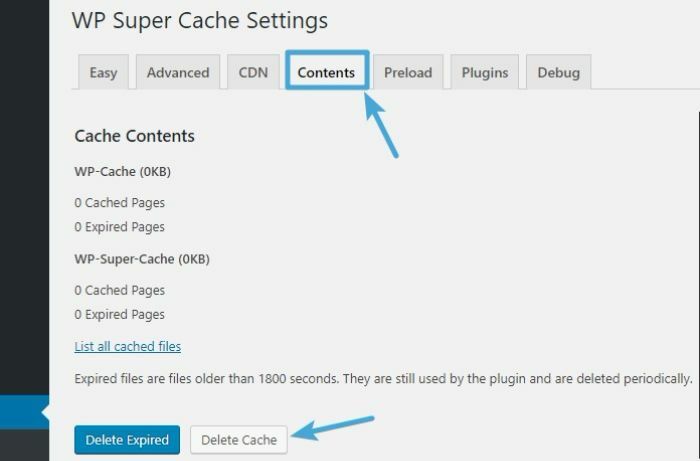 Install the WP Super Cache plugin, click that button, and configure the advanced settings. You’ll have a faster-loading website before you can finish a cup of coffee. About the author: Colin Newcomer is a freelance writer for hire with a background in SEO and affiliate marketing. He helps clients grow their web visibility by writing primarily about digital marketing and WordPress. In his spare time, he travels and curates graphic t-shirts.